You’ve sweated hard to build your company to where it is today. Part of that has meant working many long hours crafting your business strategy, only to find out that most people working in the company either don’t know what the strategy is all about or are failing to execute your vision. 1. 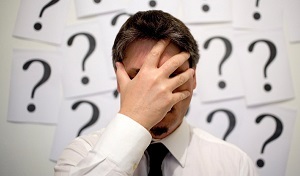 Failing to align the plan with business processes. Your perfect plan on paper will only translate into reality if it works in tandem with the way things are done in your business. For example, your strategy might outline an aim to have a healthy cash flow at all times. All well and good, but if your company only invoices customers 15 days after providing a service, or pays on the 15th day instead of the 30th, then your plan for ample cash could be thwarted. Operational requirements need to be carefully considered and adjusted to meet strategic aims. This requires buy-in from all levels of management and agreement on how strategy execution will meet these objectives. 2. Viewing implementation as a task for lower management. Lawrence Hrebiniak, professor of Management from Wharton business school and author of Making Strategy Work, says top management should avoid seeing strategy as their own responsibility and execution as everyone else’s. Such an attitude works on the assumption that other levels of management understand and care about the company’s strategy to the same extent as you do, which is not always the case. Often, middle management is so caught up in the immediate requirements of meeting targets and staying on schedule, for example, that they have little time to reflect on how their actions translate for the broader strategy of the business. A tendency to assume that different groups will take on distinct roles relating to the strategy execution process can create “cultural rifts and poor communication”, Hrebiniak says. 3. Assuming that strategy will motivate. 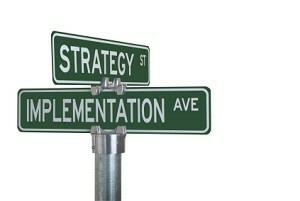 A strategy is a long-term plan of action for the company, designed to achieve a particular set of goals. It is a statement of intent, rather than a motivational pitch to staff members. In order to gain buy-in from your employees and thus ensure the success of your strategy execution, you need to communication the benefits of the plan. Hrebiniak points out that it’s necessary to show each employee how a successful strategy execution will translate into tangible benefits for them. Hold meetings and internal launches if necessary – but do what you need to do to ensure that buy-in has taken place, rather than assuming that the strategy on its own will attract a following. By avoiding these three mistakes, your strategy execution will have a greater chance of being effectively implemented throughout the business. If you have some big goals in mind, but don’t know how to translate them into a workable plan, or if you simply need some help with your strategy or its execution, The Finance Team can assist. Our associates include qualified, experienced strategists who can help give you insight into turning your company’s visions into a reality. They can provide ad hoc or ongoing input, according to the needs of your company.